Do you dream of driving a Jaguar I-PACE one day? There is a large volume of resources available on the Autobytel website. Go on a Jaguar I-PACE vehicle fact-finding quest for both new and used models. See specifications like power figures, fuel economy, and safety ratings. 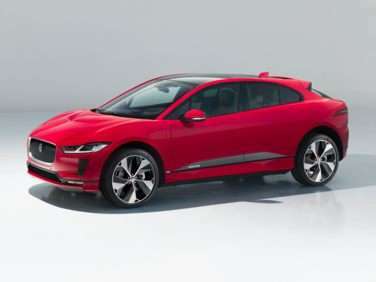 Find the invoice price on Jaguar I-PACE vehicles. If you are looking to buy a Jaguar I-PACE then first read consumer reviews and analysis from professional automotive journalists. There are literally thousands of Jaguar I-PACE automobiles in the Autobytel.com vehicle inventory. Find vehicles available for purchase in your area. Choose a city or use your zip to see local dealer inventory. The bulk of car buyers these days get vehicle information on various websites. Discover all there is to know about Jaguar I-PACE vehicles. An authoritative site like Autobytel contains lots of info. See comprehensive data on almost every vehicle built over the last few years. Get an intelligent synopsis of the Jaguar I-PACE. See which features come stock on the vehicle at Autobytel.com. Check a vehicles dimensions, engine stats, and transmission facts under the technical data tab. Want to know how much additional equipment will change the price? If you are going to buy a Jaguar I-PACE this info could be considered valuable. Autobytel has a great tool called the vehicle configurator that can help. See how well Jaguar I-PACE vehicles stack-up to their rivals. Use the vehicle compare tool to see a couple of automobiles at the same time. Another great resource available to the shopper is crash test data from both the IIHS and the NHTSA; these ratings are very important as a vehicle with a good safety rating could one day save your life. View a good collection of photos in the online database of Autobytel.com. See Jaguar I-PACE vehicle images from various angles including front, rear, and side. By browsing lots of auto images you can find a vehicle that is desirable. Most consumers try to find an automobile that they feel is attractive. That way when you visit the car dealer lot to buy a Jaguar I-PACE; you won’t be taken by surprise if there is an unattractive feature. Be sure to peruse the criticism and analysis from current Jaguar I-PACE auto owners. This is a great way to see the pros and cons of each vehicle as told by regular consumers. Besides plenty of information; you can get a list of current incentives on Jaguar I-PACE vehicles. See rebates available from the factory, or special financing offers. Finally see the available inventory of Jaguar I-PACE automobiles for sale in your area. Make sure to check the listings of vehicles online at Autobytel before you buy a Jaguar I-PACE. Shopping for a good deal can save you money in the end.